Rainy days aren’t going to cramp your style anymore, if the Shop With Us team has anything to do with it! 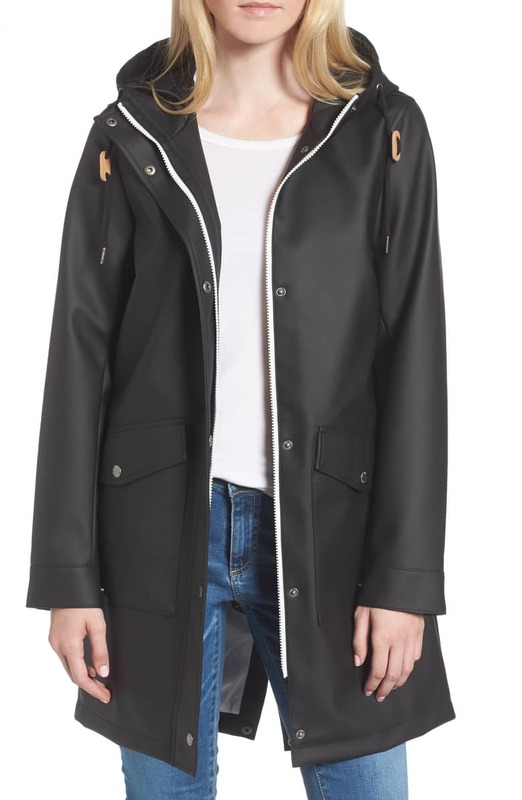 The showers will simply be another excuse to slip into a super cool fall ensemble, thanks to the gorgeous rain jacket we spotted at Nordstrom. The Levi’s Rain Jacket has a classic, sleek design with its waterproof exterior, drawstring hood, front flap-up pockets and back vent. Sizes range from XXS to XXL. 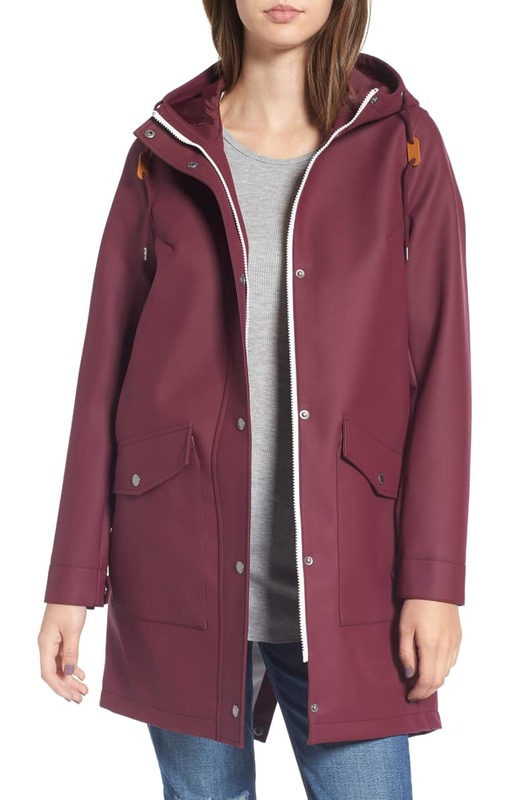 Shoppers who purchased the rain jacket revealed that they received many compliments while wearing it out. They also noted that the silhouette isn’t figure-hugging, but still flatters. Lots of reviewers shared that the coat runs small, particularly around the shoulders. You may want to carefully eye the size guide and order one size up if necessary. See it: Get the Levi’s Rain Jacket for $98 while it’s still available in so many colors!